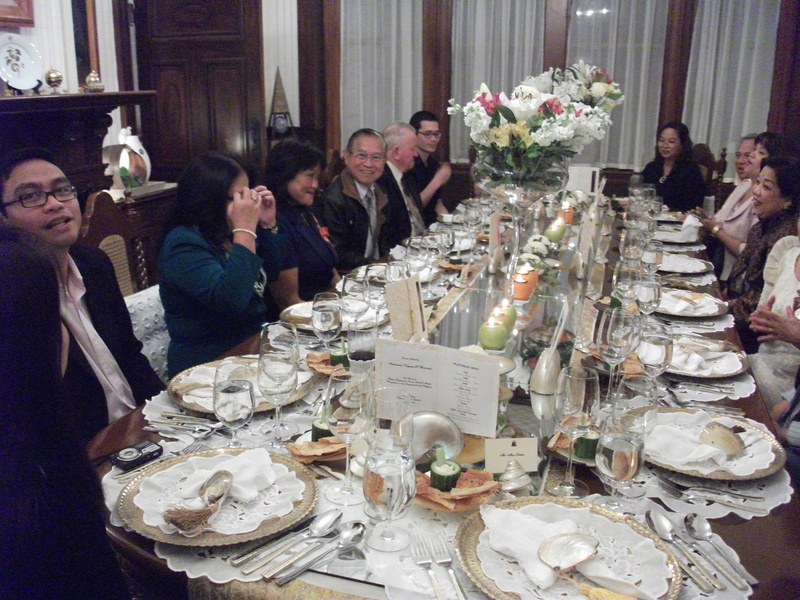 I was invited the other night by Philippine Ambassador to New Zealand HE Virginia Benavidez for a formal dinner in Honour of Filipino Recipients of Various Awards at the “Ang Bahay” in Karori Wellington. 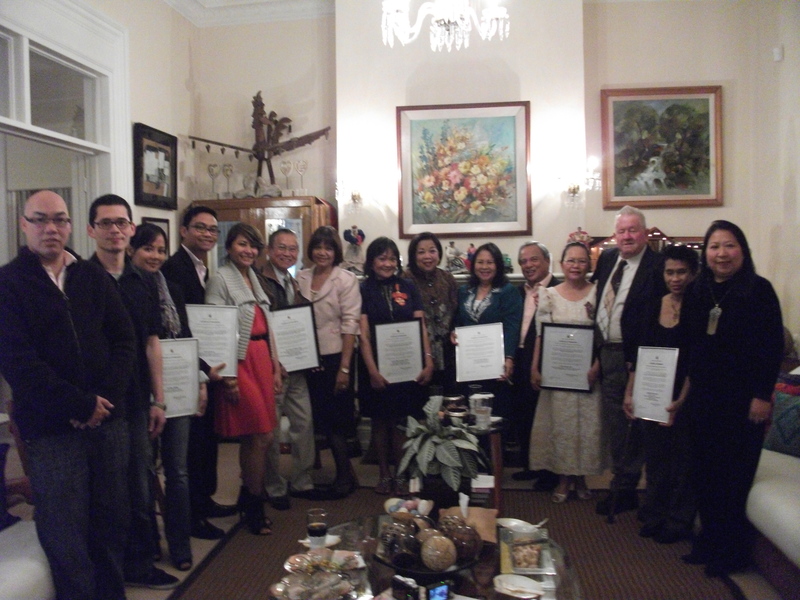 The seven Awardee are Dr. Antonio Noblejas, QSM (Queen’s Service Medal Awardee and CFO 2008 “Banaag Award” Presidential Award for Filipino Individuals and Organizations Overseas), Ms Sylvia Zonoobi,ONZM( New Zealand Order of Merit 2003); Mr and Mrs Orscar Batucan (Benemerenti – Papal Award 2009); Mrs. Josephine Garcia Jowett (commended 2003,Finalist 2007 and 2010,World of Wearable Arts Award Show; Mrs Ivy Padilla (Best Actress in leading Role – Musical,North Area Performance Theather Awards 2011) and Mr Carlo Jaminola (AKLNZ PInoys- Print Journalism Awardee in the 1st Media and Migration Advocacy Awards of the CFO 2011). 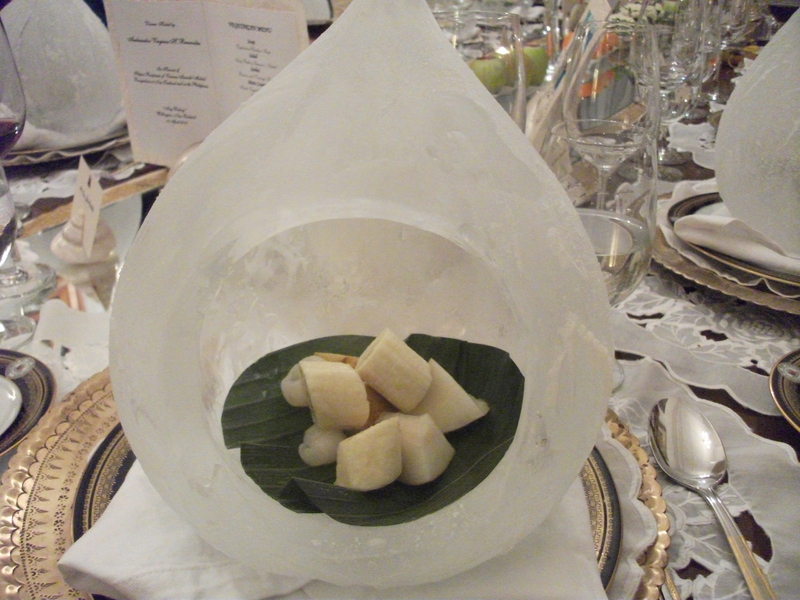 It was a wonderful evening and the Vegetarian Menu and the presentation of the foods are unique and delicious . Thanks to Ambassador and her staff. First , we have Vegetarian Chicken Soup . 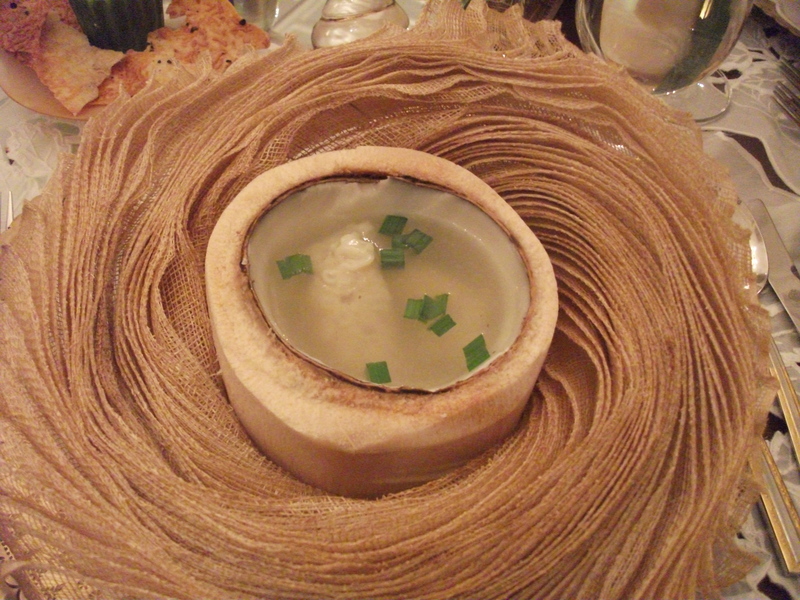 The soup was placed in a coconut shell instead of a regular bowl. 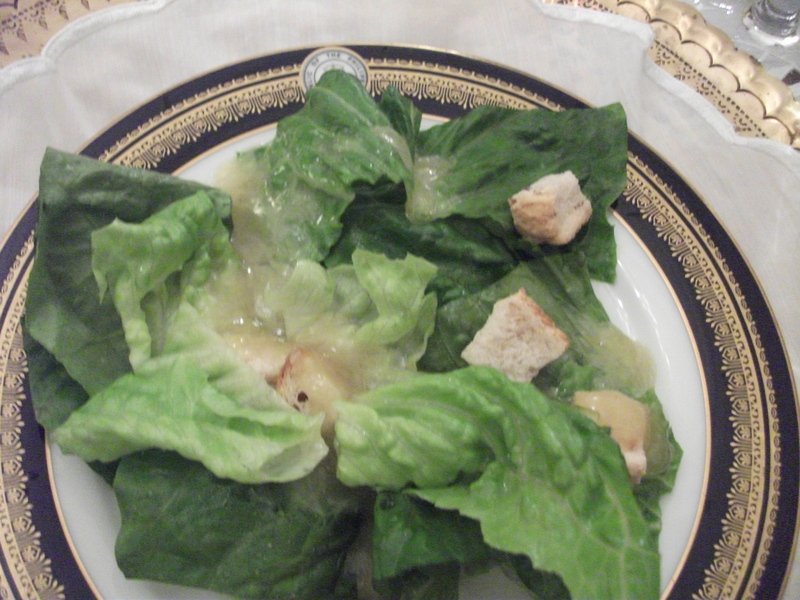 Next , Ang bahay Caesar’s Salad. 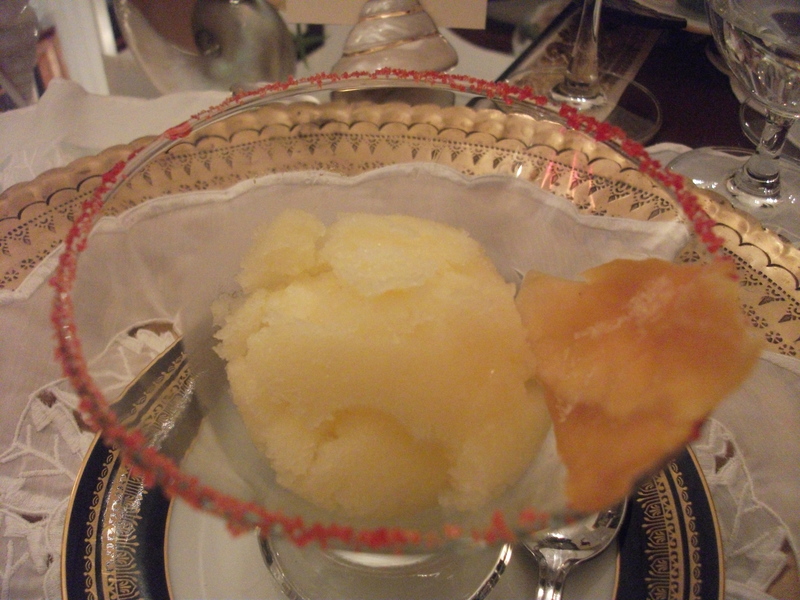 Followed by Lemon and Orange Sorbet. 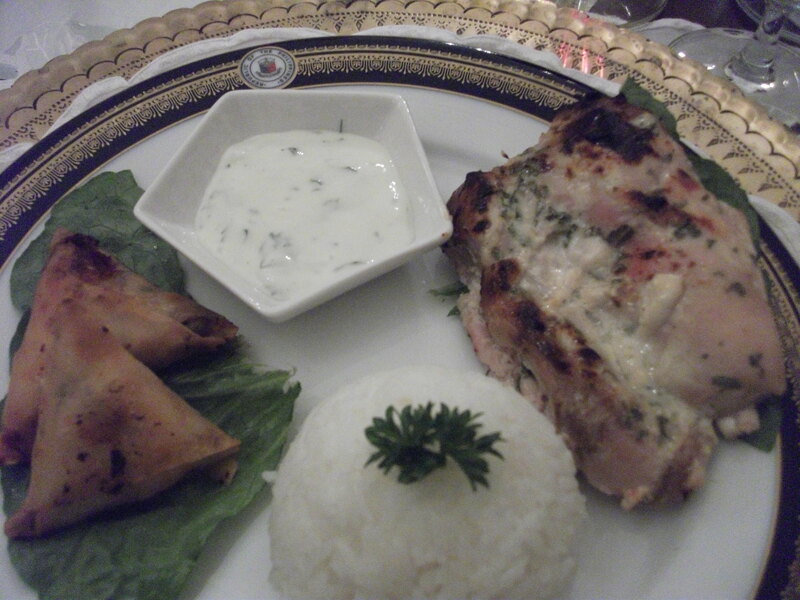 And the main Course composed of Fresh Vegetable Springrools, Pesto pasta, Vegetable Chicken and sizzling Tufu.